A judge on Tuesday tossed out a lawsuit brought by the United Federation of Teachers to block the opening of 13 charter schools in September that are sharing space with existing public schools, including seven charters run by former city councilwoman Eva Moskowitz. Meanwhile, the city’s Law Department defended 36 other co-located schools challenged by Public Advocate Letitia James. City charter schools scored a pair of legal victories this week as the teachers union lost an anti-charter lawsuit and Mayor de Blasio defended controversial school-sharing plans approved under former Mayor Michael Bloomberg. On Tuesday, a judge tossed out a suit brought by the United Federation of Teachers to block the opening of 13 charter schools in September, including seven charters run by former city councilwoman Eva Moskowitz. The union had argued Bloomberg improperly pushed through the co-locations, which place a charter in the same facility as an existing public school. The space-sharing would make teachers’ jobs harder, the UFT said. A spokeswoman for the teachers union said they were reviewing the decision. It was the latest win for Moskowitz, who last month saw de Blasio allow three of her charter schools to open after the mayor initially wanted to block them. The longtime political foe of the teachers union praised the judge's decision. "For years, the teachers union has tried to block charter schools no matter the cost to children," said Moskowitz. "Thankfully, the court put the interests of children first." Meanwhile, in another lawsuit rooted in the final days of the Bloomberg era, the city’s Law Department vigorously defended 36 other co-locations challenged by Public Advocate Letitia James. The Department of Education’s Panel for Educational Policy approved the arrangements in a series of meeting late last year — before de Blasio took office. In new court papers, city attorney Zachary Carter argued the co-locations were approved “in full compliance with education law” and in a timely manner. 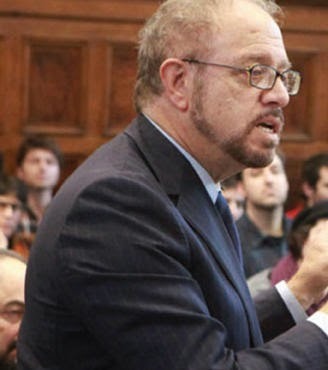 Arthur Schwartz, (left) an attorney for James and the coalition of advocacy groups that brought the suit, noted the change in tone. “It’s disappointing the mayor isn’t using the lawsuit to revisit the overcrowding issue that has enraged parents across the city who were hoping he would be their ally,” Schwartz said. But de Blasio spokesman Wiley Norvell said the 36 co-locations had been vetted and were not improper in any way. “Our job is to give every child a great education, and we are confident we can implement these co-locations without negatively impacting the learning of children already in those buildings,” Norvell said. The suit has pitted James against her political ally, de Blasio. A spokeswoman for James signaled she isn’t backing down. “Public Advocate James’ principled position remains consistent: Forced co-locations must not move forward without parents’ input or when they result in overcrowding, students being warehoused in trailers, loss of space for special education and physical education, and elementary students being mixed with high school students,” the spokeswoman said. 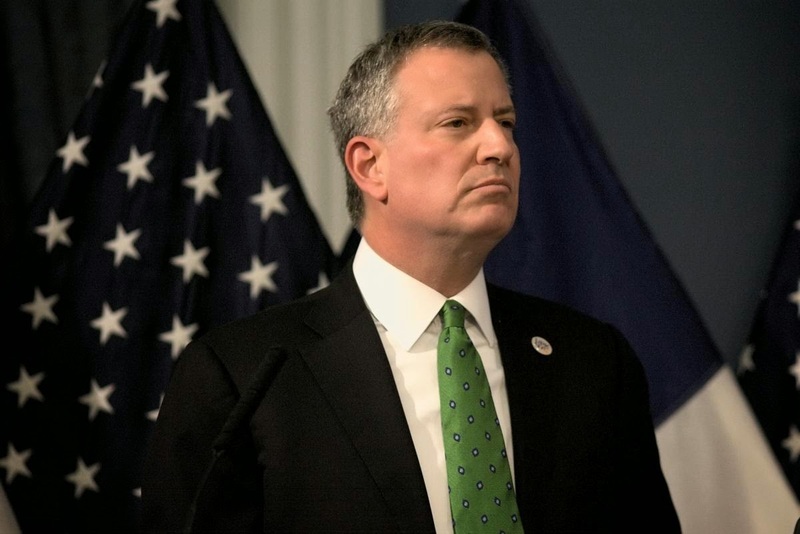 Both suits were an example of de Blasio’s effort to ensure his power over education policy, said Brooklyn College and City University of New York education professor David Bloomfield.